The Battle of Chestnut Neck was a battle fought in New Jersey during the American Revolutionary War. At the beginning of the Revolutionary War, Chestnut Neck was a busy thriving trade centre around the Little Egg Harbor River. Local vessels travelled to New York and elsewhere, carrying mail and trading goods and merchandise. With the coming of the War, the same harbour facilities which made it a seaport, made it a home base for American Privateers who would attack and seize British ships and take their captured prizes into Chestnut Neck. The captured vessels and their cargos were sold, and the captured vessels were often used as Privateers. With the British holding Philadelphia and New York City during the winter of 1777–78, General George Washington at Valley Forge was cut off from his sources of supplies. Supplies were then brought into Little Egg Harbor, unloaded at Chestnut Neck, taken up the river on flat boats to the Forks, carted across the state to Burlington, and on to Valley Forge. Many cargoes intended for Sir Henry Clinton in New York were seized by privateers and reached General Washington at Valley Forge. Sir Henry Clinton became so exasperated by this constant loss of his ships, that he decided to "clean out that nest of Rebel Pirates." 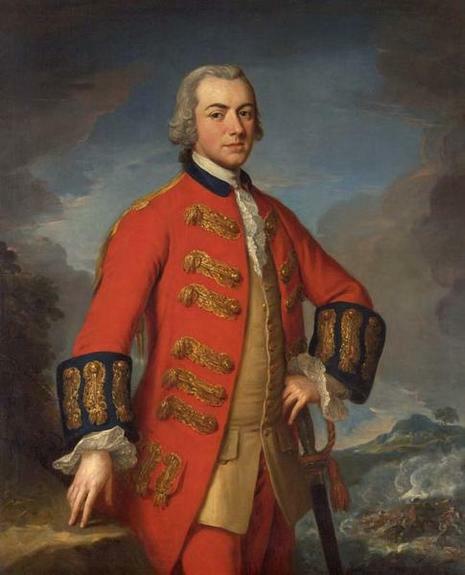 Accordingly, on September 30, 1778, a fleet of nine British ships and transports, under command of Captain Henry Collins, with 300 British Regulars and 100 New Jersey Loyalists, under Captain Patrick Ferguson, sailed from New York, bound for Chestnut Neck. Governor William Livingston learned of their sailing, and sent riders to warn the people. General Washington dispatched Count Kazimierz Pułaski and his Legion to assist the Patriots, though they did not arrive until the day following the battle. The British fleet, because of bad weather, did not arrive off Little Egg Harbor until late in the afternoon of October 5, 1778, after which the weather prevented their getting over the bar. Knowing the people had been warned, and that Count Pulaski was on the way, the British troops made their way up the river to Chestnut Neck as quickly as possible. The troops were put aboard the galleys and armed boats, and left at daybreak on October 6, 1778. Again they were delayed as two boats grounded. They reached Chestnut Neck at four o'clock, in a heavy fog. Having destroyed any supplies that they couldn't retrieve, and having received intelligence that Count Pułaski was on his way, they quickly left at noon on October 7, 1778, stopping at the mouth of the Bass River to destroy the salt works and mills of Eli Mathis. They burnt all of the houses on his plantation, his home and barns, and then rejoined their ships. As soon as Count Pułaski arrived at Chestnut Neck he crossed the river and marched to Tuckerton, arriving there on October 8, 1778. Pułaski (with 50 troops) and the British (with 200) watched each other until October 15, 1778 when the British were able to surprise an outpost of Pulaski's men, bayonet the sentry and almost all of the other men. Americans call this the "Little Egg Harbor massacre." The site is marked by a monument erected by the Sons of the Cincinnati. The British then sailed back to New York. Despite the retrieval of supplies, the British and American Loyalists were not able to capture any of the American Privateers/Pirates or recapture any of the prize vessels present in the area. After the battle, Chestnut Neck never again became a trade centre. Three of the large land owners did return and rebuild their homes, but the others eventually built new homes in present-day Port Republic. A monument was erected through the efforts of General Lafayette Chapter of the Daughters of the American Revolution, marking the site of the Battle of Chestnut Neck. The Minute Man at its top faces the river, still guarding the shore against the approaching enemy. The monument honours the men who defended Chestnut Neck at the "Battle of Chestnut Neck" on October 6, 1778. The monument was dedicated on October 6, 1911. Chestnut Neck at the beginning of the Revolutionary War, was a busy thriving trade center. Local vessels made regular trips to New York and elsewhere, carrying mail and local products, and returning with needed merchandise. With the coming of the War, the same harbor facilities which made it a seaport, made it a rendezvous of the Privateers. Privateering (the arming of privately owned vessels to prey on enemy shipping, and also, to protect the shipping of their own country) was an international custom. British Privateers constantly raided our coast and attacked our shipping. Our Privateers brought their captured prizes into Chestnut Neck, unloaded, and stored their cargoes in the storehouses. These cargoes and the captured vessels were sold, and frequently the captured vessels were fitted out and used as Privateers. With the British holding Philadelphia and New York, during that awful winter of 1777-78, General Washington at Valley Forge had his source of supplies cut off. Supplies were then brought into Little Egg Harbor, unloaded at Chestnut Neck, taken up the river on flat boats to the Forks, carted across the state to Burlington, and on to Valley Forge. Many cargoes intended for Sir Henry Clinton in New York, because of our privateers, reached General Washington at Valley Forge. Thus, Little Egg Harbor and Chestnut Neck proved a real life line during that darkest period of the War. Chestnut Neck was indeed an active place during that time. It is said that as many as thirty vessels were usually there, bringing in captured prizes, unloading them, selling them, and again sailing out. Captain Micajah Smith brought in the large British freighter Venus, of London, in August, 1778. She is said to have been one of the most valuable taken during the War. Sir Henry Clinton became so exasperated by this constant loss of his ships, that he decided to "clean out that nest of Rebel Pirates." Accordingly, on September 30, 1778, a fleet of nine British ships and transports, under command of Capt. 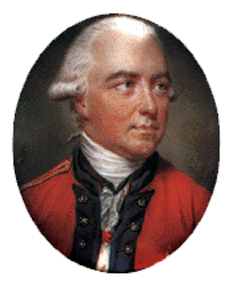 Henry Collins, with 300 British Regulars and 100 New Jersey Loyalists, under Capt. Patrick Ferguson, sailed from New York, bound for Chestnut Neck.